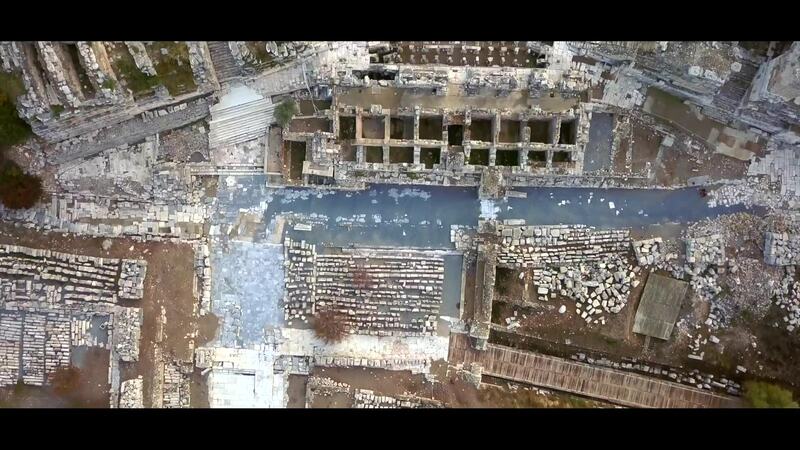 Description: Ephesus Located within what was once the estuary of the River Kaystros, Ephesus comprises successive Hellenistic and Roman settlements founded on new locations, which followed the coastline as it retreated westward. Excavations have revealed grand monuments of the Roman Imperial period including the Library of Celsus and the Great Theatre. Little remains of the famous Temple of Artemis, one of the “Seven Wonders of the World,” which drew pilgrims from all around the Mediterranean. Since the 5th century, the House of the Virgin Mary, a domed cruciform chapel seven kilometres from Ephesus, became a major place of Christian pilgrimage. The Ancient City of Ephesus is an outstanding example of a Roman port city, with sea channel and harbour basin.